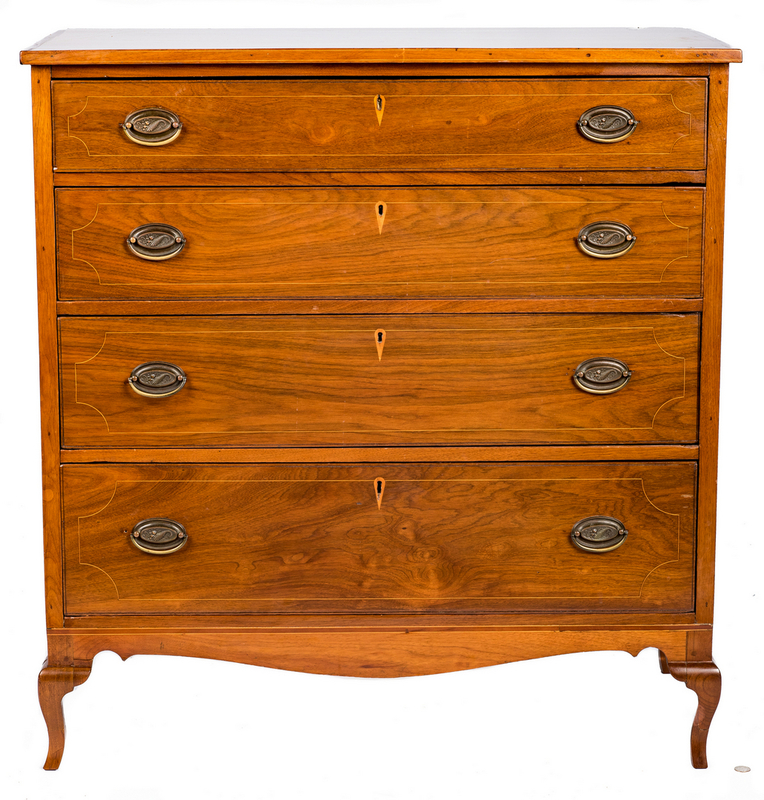 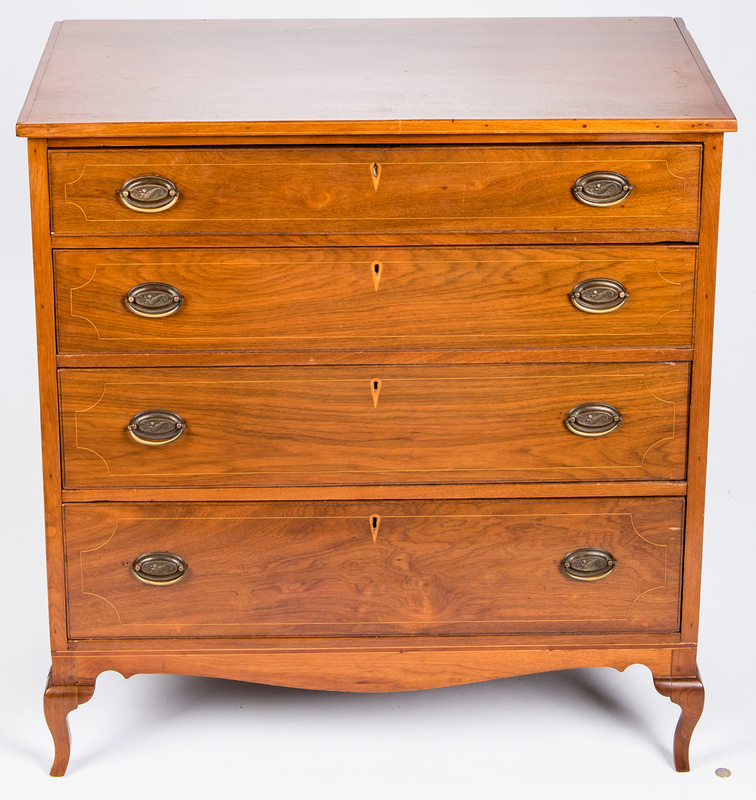 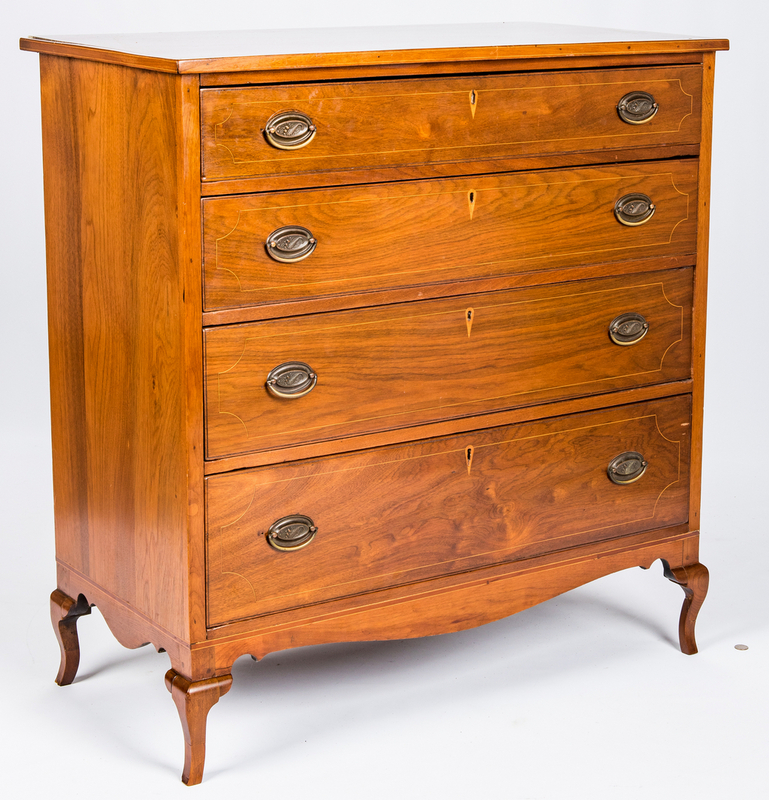 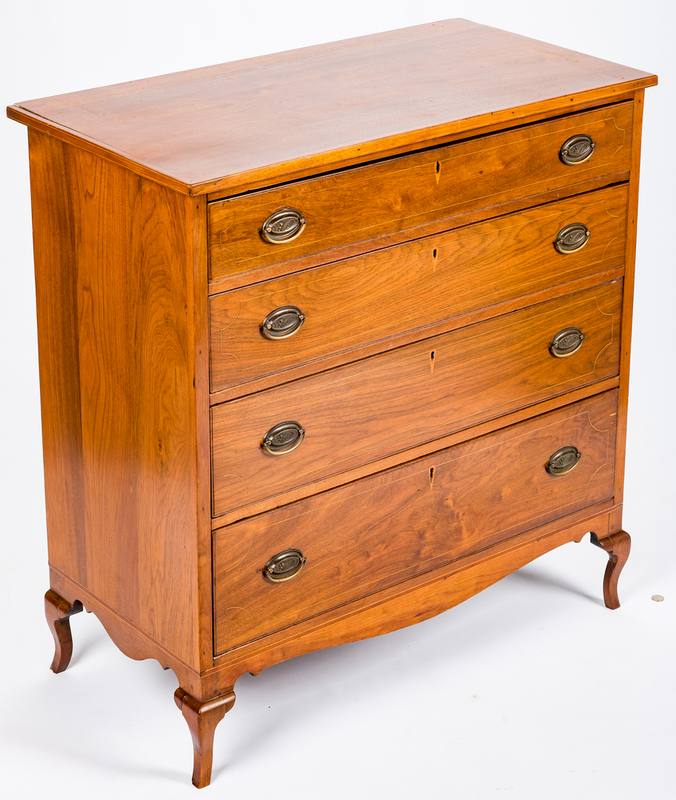 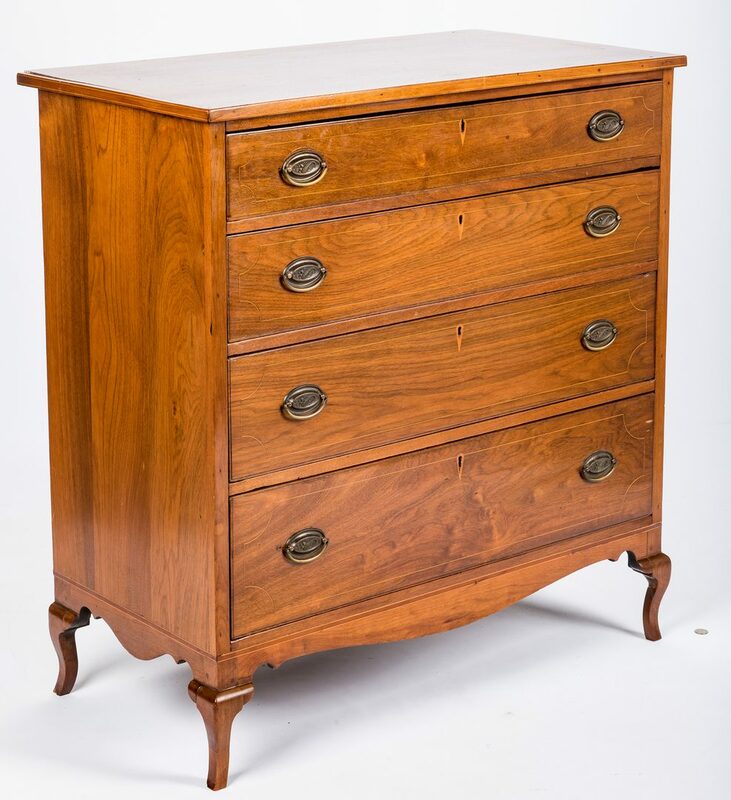 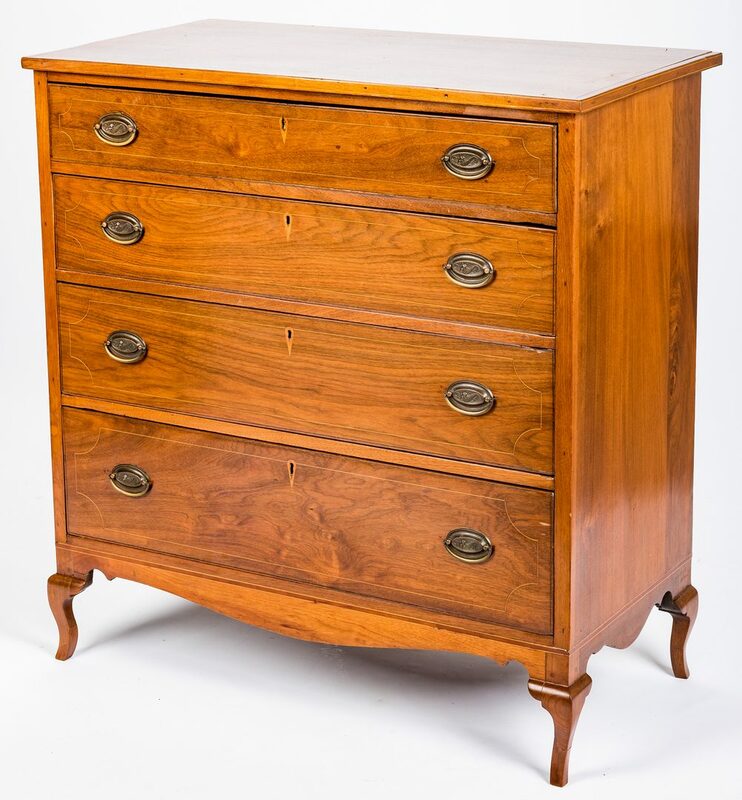 Kentucky "bandy legged" chest of drawers, walnut primary, poplar secondary. 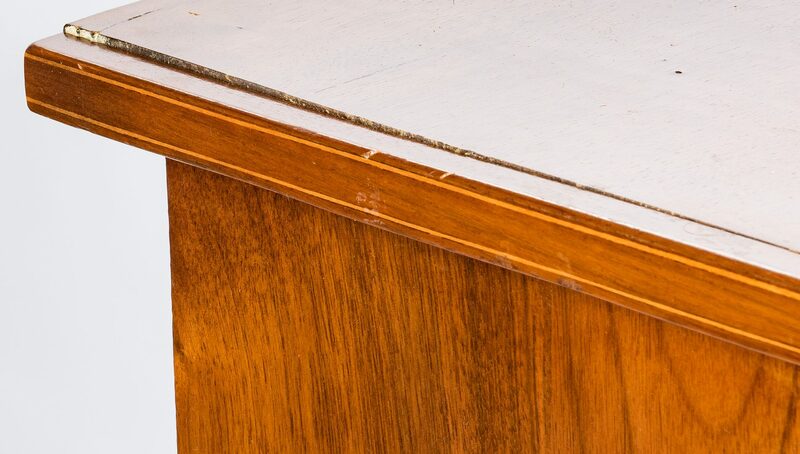 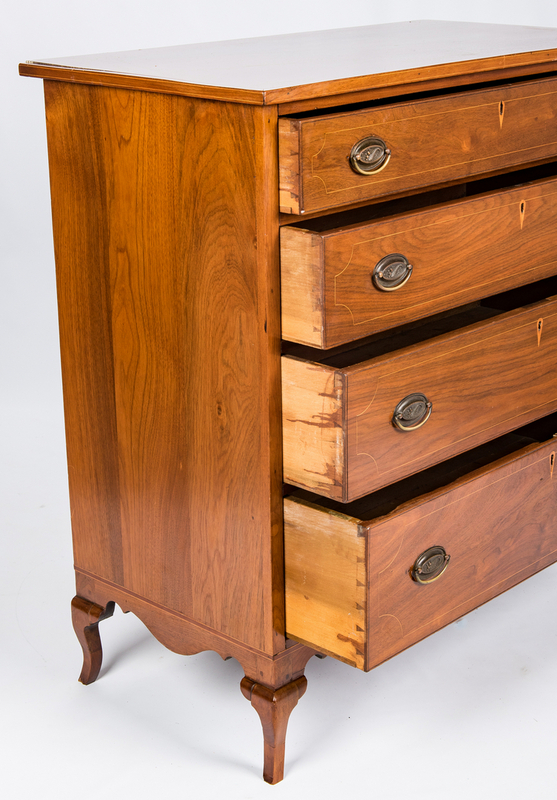 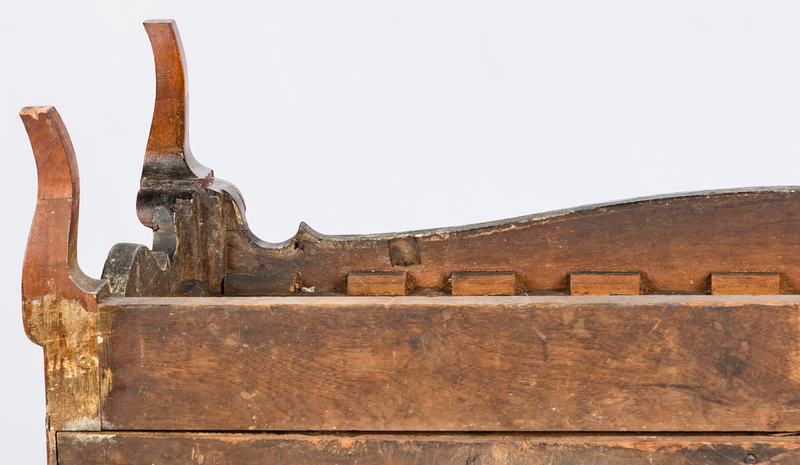 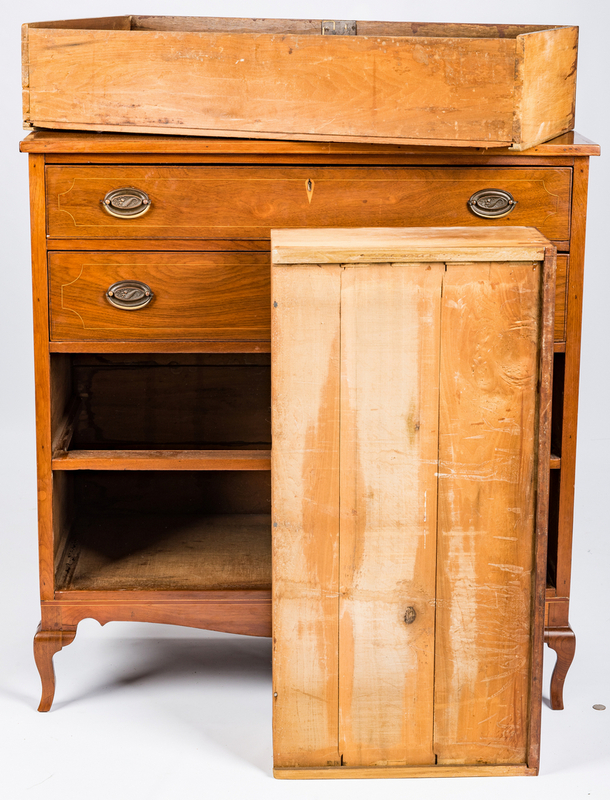 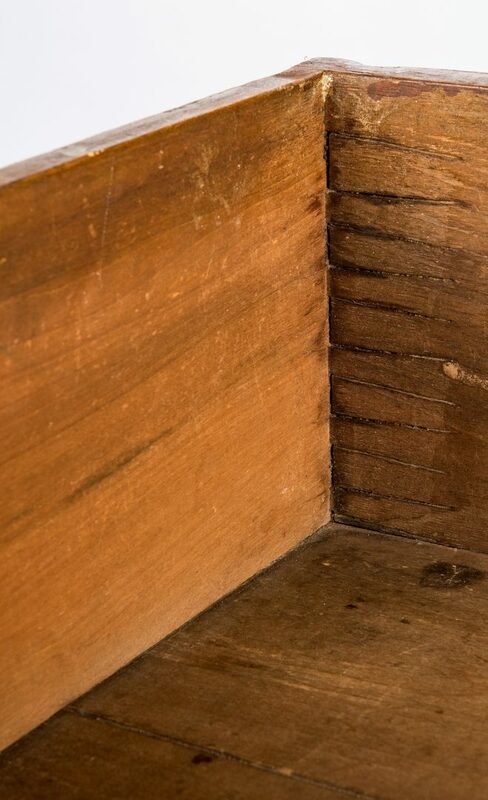 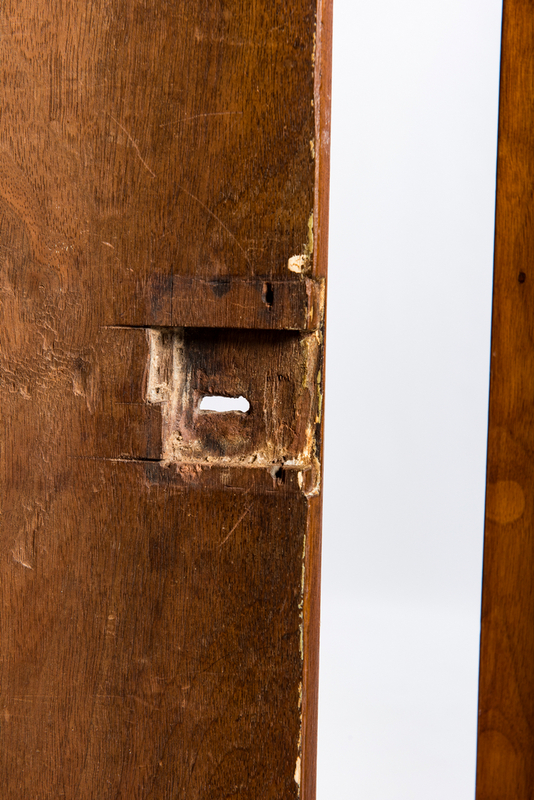 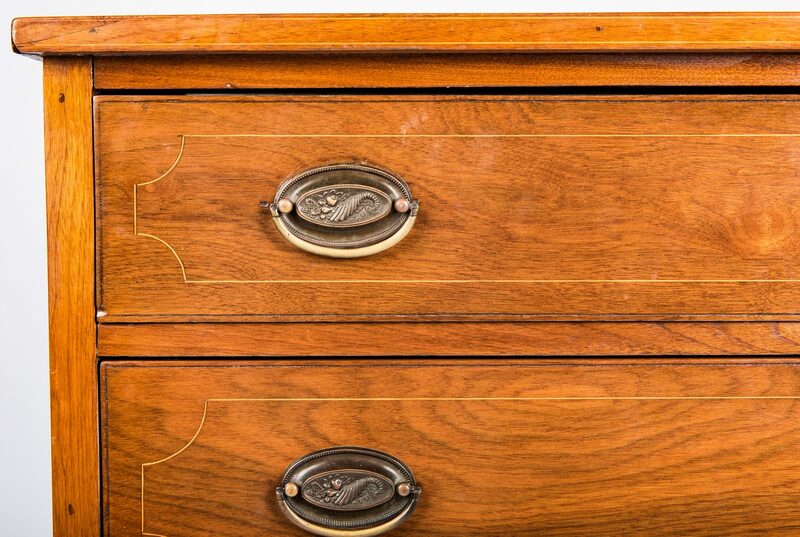 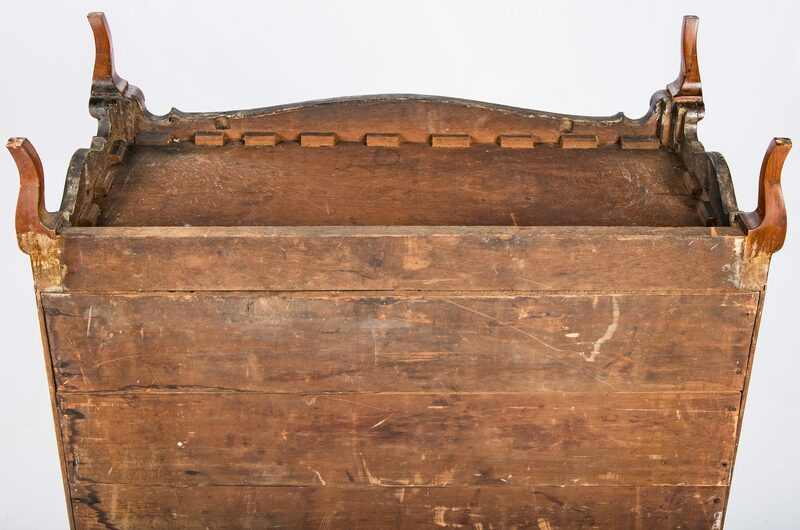 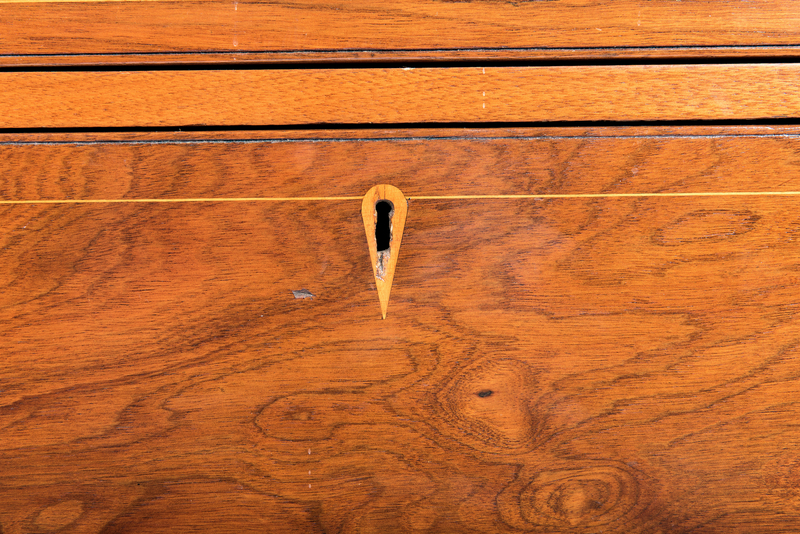 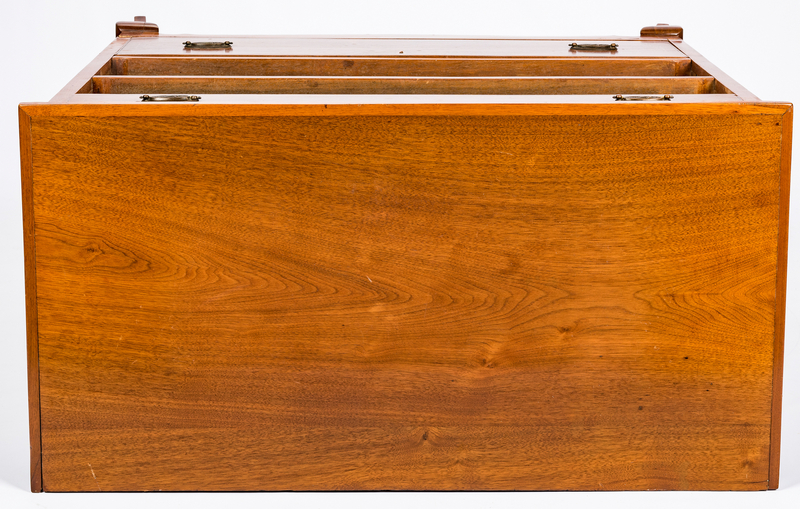 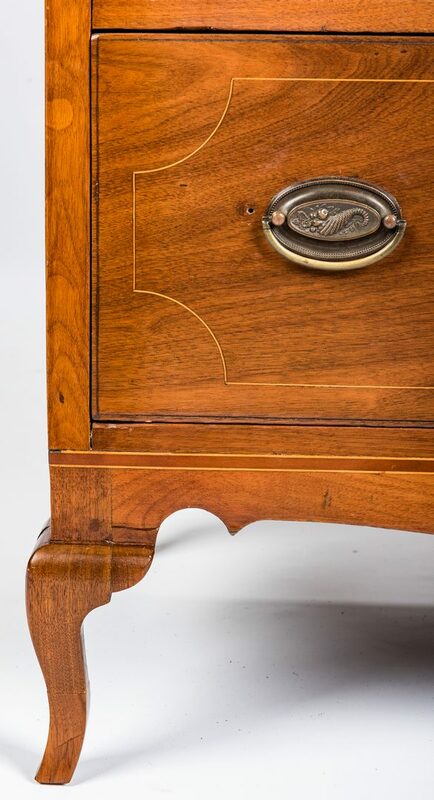 Comprised of a slightly overhanging top with string inlay over four graduated dovetailed drawers with rectangular stringing and inlaid escutcheons, a scalloped skirt and sides with string inlay over cabriole legs. 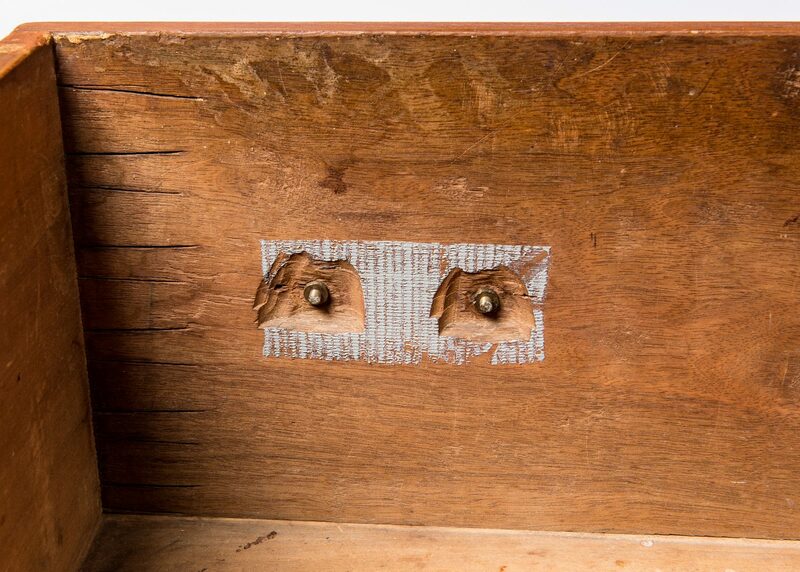 Underside of skirt and feet retain most of the original glue blocks. 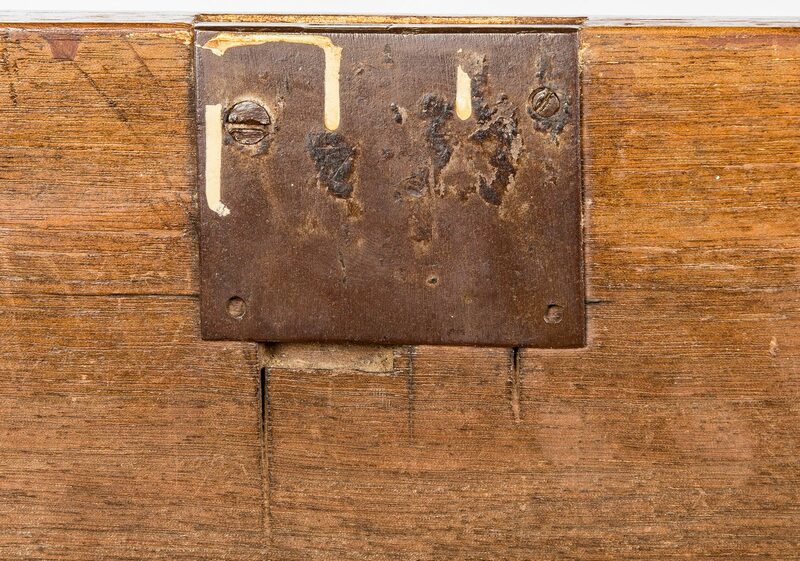 Appears to relate to a group of early "bandy-leg" chests tied to Northern Kentucky (Mason, Fleming, and Nicholas Counties). 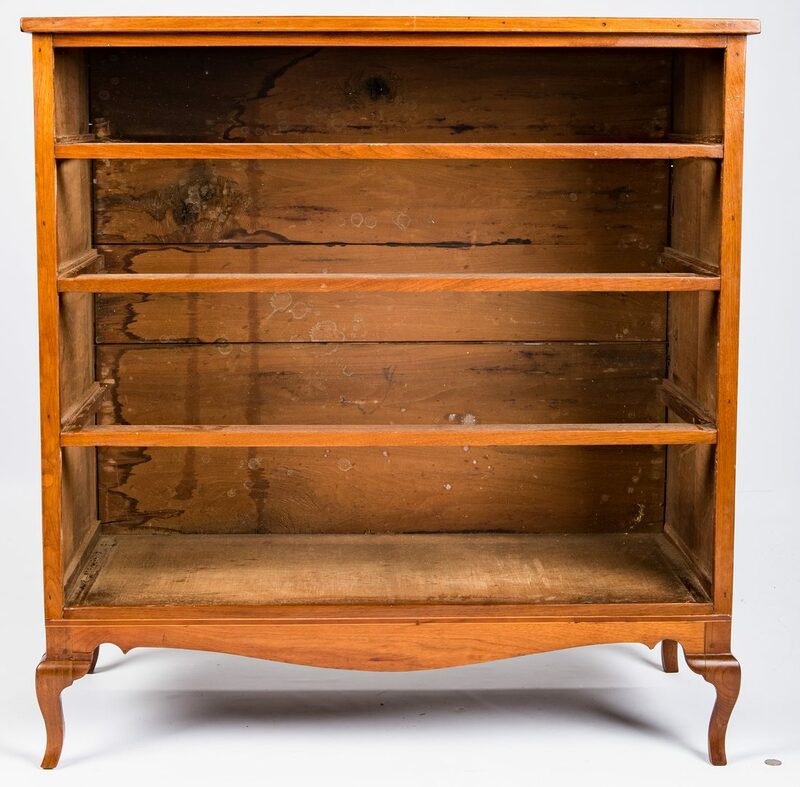 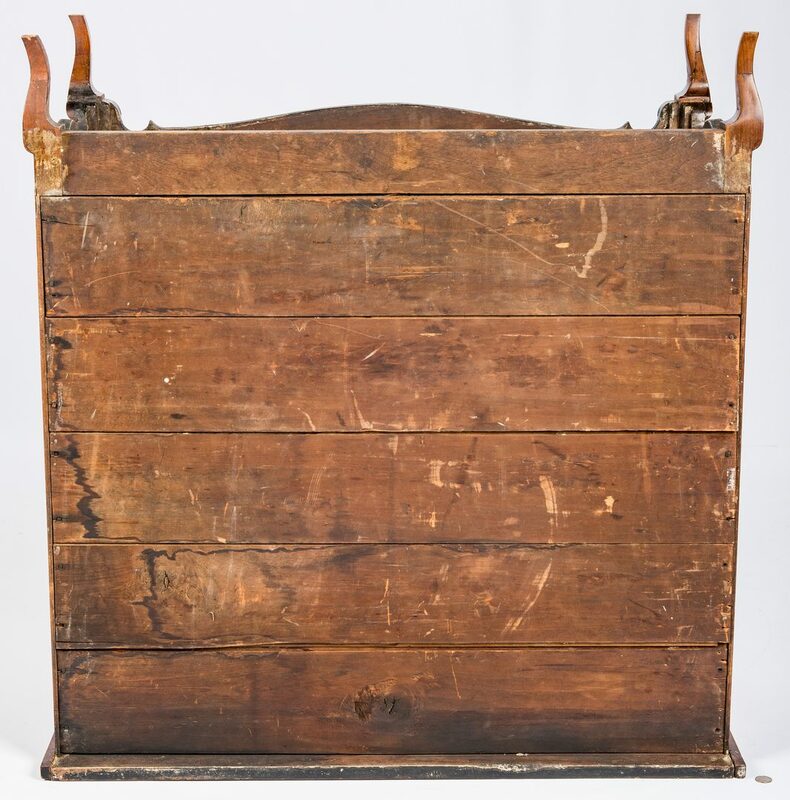 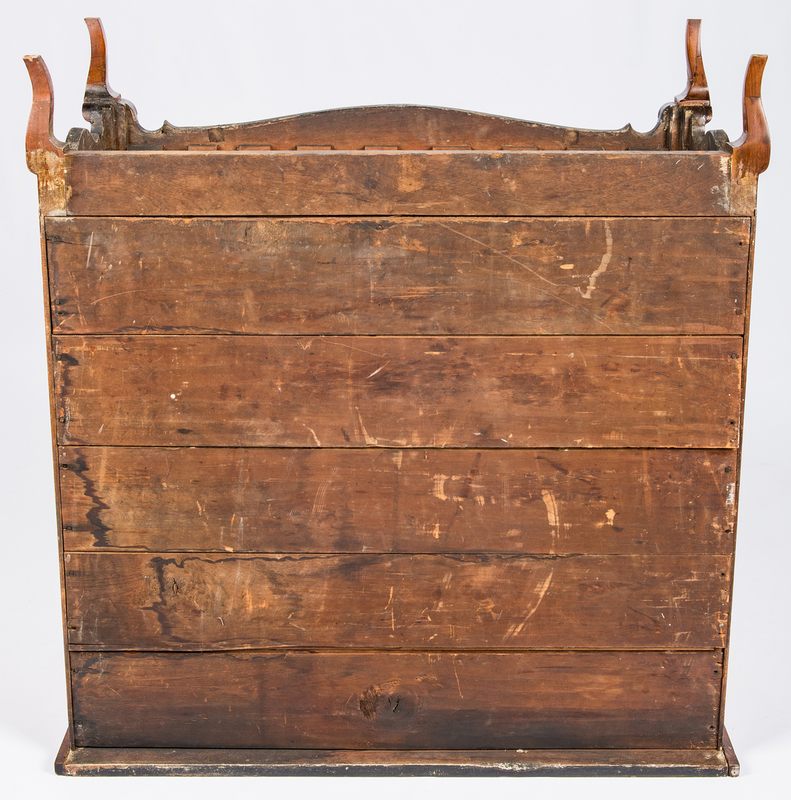 37" H x 39 1/4" W x 18" D. Circa 1800. 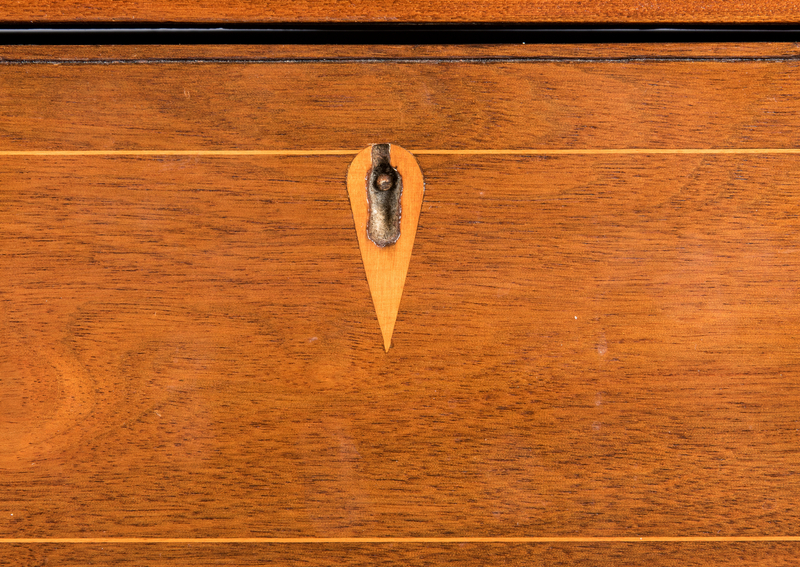 Provenance: Collection of Christine Fields and the late Emmett Fields, former president of Vanderbilt University, Nashville, Tennessee. 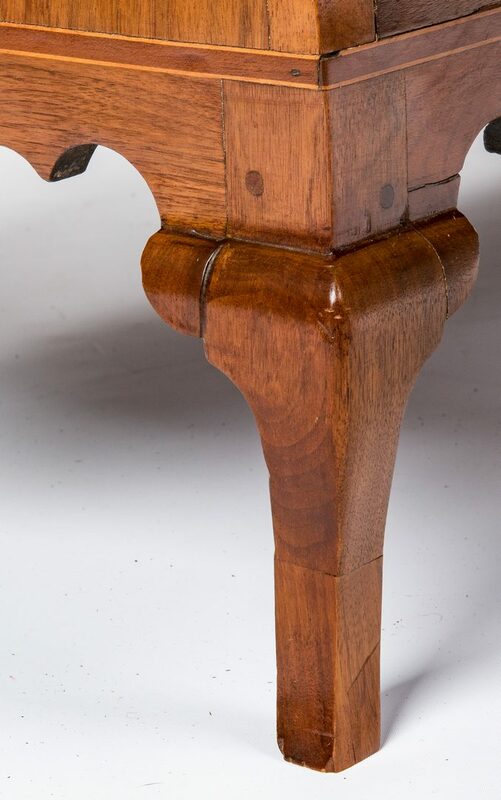 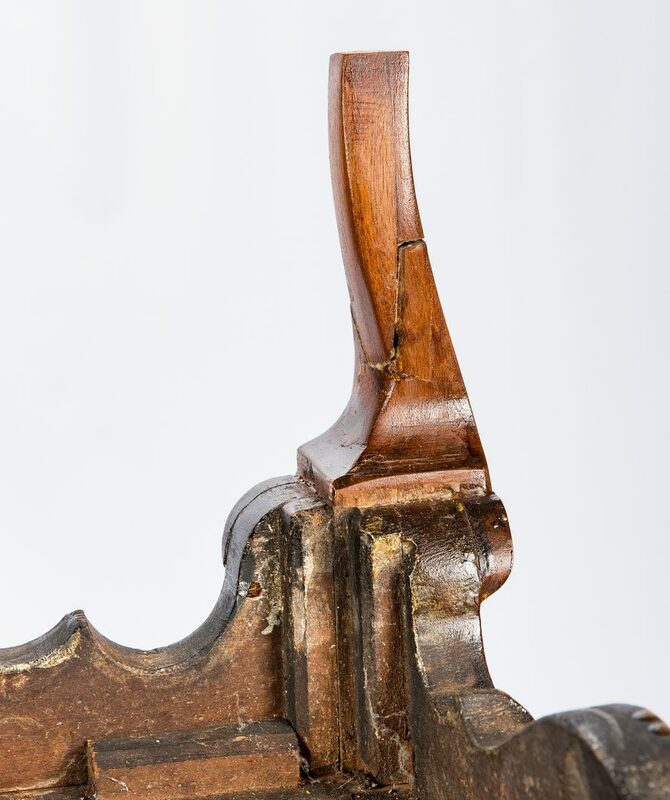 CONDITION: Lower 2" of all four cabriole legs have been tipped. 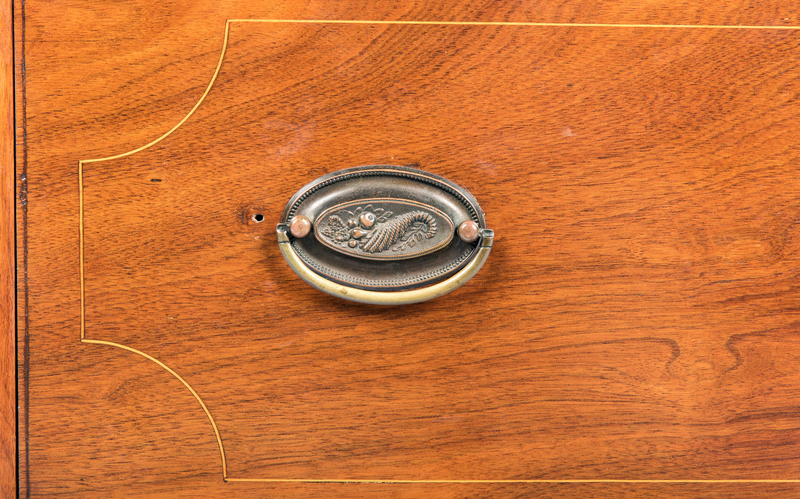 Cornucopia brasses are replacements, evidence to drawer fronts of larger brasses. 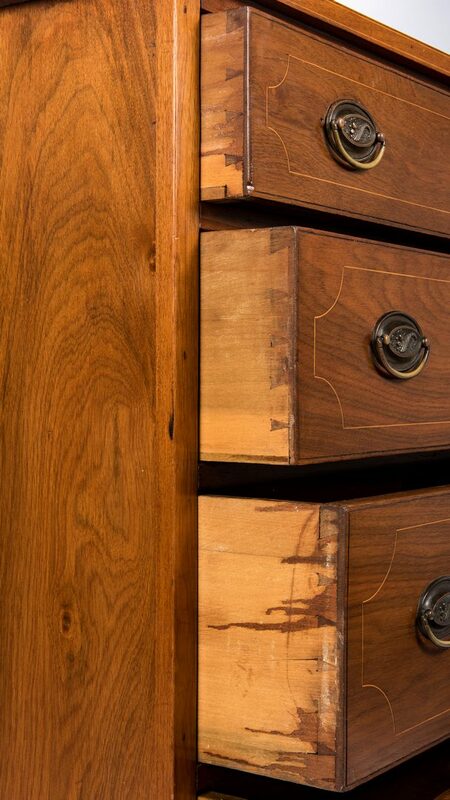 Older refinish with general wear and abrasions.